I love featuring fellow entrepreneurs in the authorship and publishing space on the podcast, and in this episode I have a special treat for you. I’m honored to feature an interview with Kirsten Oliphant, who is a true expert when it comes to writing, self-publishing, and all things communications. You probably already subscribe to her podcast, Create If Writing (and if you don’t, you should), where she gives her listeners lots of great tips for putting stellar books out into the world. In this interview, Kirsten and I talk about the writing process and what her process looks like, what she learned from the launch of her most recent book, Creative Collaborations, how she organized and threw a launch party, and more. 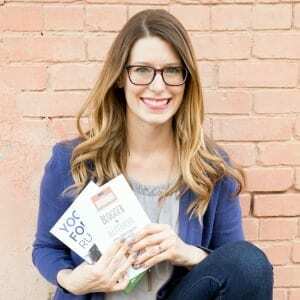 She also shares some of her favorite tools for self-published and Kindle authors, which I think you’re going to want to run out and snag. Kirsten Oliphant is a writer, blogger, and podcaster with an MFA in Fiction. She hosts the Create If Writing podcast to help writers and bloggers learn to build and online platform without being smarmy. Her books Email Lists Made Easy for Writers and Bloggers, Creative Collaborations, and 31 Small Steps to Grow Your Blog are all available on Amazon. She lives in Houston with her husband and five children where she has been named one of the top 25 Social Media Power Influencers for the past two years. Her books Email Lists Made Easy for Writers and Bloggers, Creative Collaborations, and 31 Small Steps to Grow Your Blog are all available on Amazon.